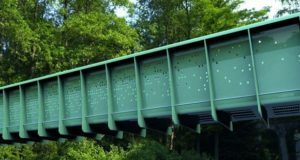 The world’s first modular, polymer composite bridge with a span of 30 meters has been designed by Arup, a UK-based design consultancy. The conception was embodied by another UK company, a bridge specialist Mabey. 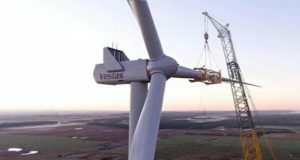 TPI Composites is the largest US-based manufacturer of composite wind blades for wind turbines. Basalt is mentioned among the materials that the company uses to manufacture its products. 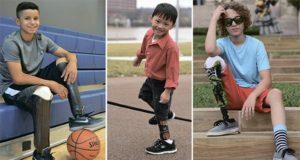 Coyote Design, the American manufacturer of both orthotics and prosthetics, uses basalt braid as the main reinforcing material to produce plastic prosthetic sockets. 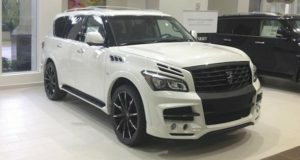 LARTE Design has introduced the crossover QX80 SUV in the tuning package called Missuro, and the crossover QX70 in the LR2 tuning kit. 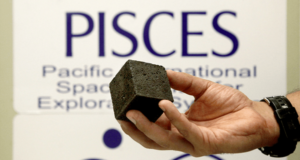 Some components of both kits are constructed from basalt fiber. 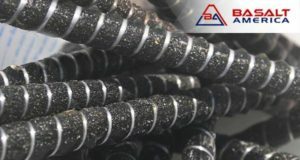 Basalt America, a subsidiary of Paymeon Inc., is asking to enforce the building codes that regulate the use of basalt fiber reinforced polymers (BFRP) as the reinforcement of concrete. The U.S. is budgeting $179.5 billion in highway and bridge repair in just 2017. 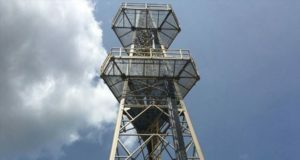 The components of a 118-foot tower were fabricated using Ashland Derakane™ vinyl ester resin and pultrusion process. The choice of materials is explained by good mechanical properties and outstanding corrosion resistance. 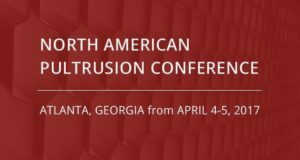 For the first time a two-day event will be devoted exclusively to the pultrusion process and related issues and trends. It is expected the participation of more than 130 industry professionals and leaders, technicians, engineers and business clients. 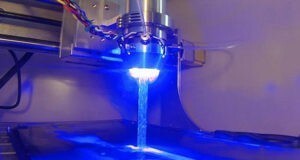 Continuous Composites has introduced a novel process, known as Continuous Scaled Manufacturing (CSM) that is able to fundamentally revolutionize 3D printing. This process allows the manufacturers to rapidly 3D print and cure multiple materials at once to form complete, functional parts in real time. 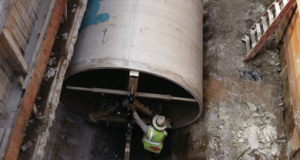 For this purpose, they manufactured composite pipes of a large diameter – over 3 meters, and installed them at a depth of over 15 meters.